Well, ketogenic comes from the word “ketosis“, which is a state in which your body breaks down fat molecules into ketones to provide energy. This state is achieved through very low carbohydrate intake and higher than normal fat intake. The “normal” state of the body’s metabolism is called “glycolysis”, where carbs are burnt for energy. The long and short is that when your body is in carb-burning mode, it will use all available carbs for energy before it touches stored fat. In ketosis, your body is primed to burn fat, and this is great news for anyone trying to get trim and slim. By cutting carb intake significantly, we can drastically reduce insulin resistance, the precursor to type 2 diabetes. In addition, low carb diets, along with exercise, can be very effective at helping alleviate the symptoms and progression of type 2 diabetes. Beyond that, ketosis itself is appetite-suppressing, meaning your hunger will naturally check itself, increasing your caloric deficit and making you lose fat even faster. Read more about ketosis: What Is Ketosis, and How Long Does It Take to Get into Ketosis? Ketogenic diets often create a significant loss of water during the first phases. This is because carbs are converted to glycogen in your body, which is stored in water within the muscles and liver. As you deplete stored glycogen, your body flushes this water out. This is a huge part of the initial weight loss during the first few weeks of ketosis. While rapid fat loss does occur at first, a lot of water weight is often dropped as well, but this is a great encouragement as it often results in both weight loss and less bloating, allowing clothes to fit better. Download a printable copy of this week’s meal plan here! Help other people interested in the Ketogenic diet by commenting below and sharing your story! I have a rare allergy that doesn’t allow me to eat anything that’s the color green. Is there any way you could shift this diet around to supplement my needs? That is not true! There is no such allergy to cover all things green………. First, Keto should really not be considered a diet, but rather a lifestyle change. Second, there are hidden carbs and gluten-free everywhere, so be sure you are not eating anything processed. Third, you must keep track of your carbs and limit to 20 or less per day when beginning for maximum results and getting into ketosis. Fourth, what’s good for some is not good for others. This is especially true if you have specific health issues. But, overall, Keto should work. Fifth, you need to provide your body with the fuel it needs to burn fat: FAT! Keep your ratios of fat, protein and carbs in line. Be sure to drink plenty of water (and don’t forget the salt with your meals) and you should be fine. And your medical degree came from where exactly. If it is possible to be allergic to sun light or water (both are well documented allergies that kill people) there is no reason why an allergy to chlorophyll is not possible. It is chlorophyll that makes plants green. Question: I do not eat cheese or yogurt. Heavy cream is okay. Is it okay to just leave out the cheeses? Will that make a difference? I’m in the same boat. Dairy makes me bloat which would seem counterproductive to using a Keto diet for cutting. You can leave out the dairy if you want, just make sure you get enough protein. Maybe some fat rich veges like avacodo would be a good substitute. I have been on the diet for full month but have not lost single gram.could it be it’s not for everyone? English : http://www.ruled.me/keto-calculator/ (even if I work out, I said I didnt because of the amount of questions. Do it just if your an athlete). i suspect you are eating some carbs that you don’t know are carbs, try 30 carbs a day. I eat a lot of whole fat plain yogurt with blueberries, lean meat, cottage cheese, avocado, cheese and eggs, but i don’t eat many veggies except broccoli and asparagus. You still have to eat at a calorie deficit to lose weight on this diet. who doesn’t like bacon, but i guess ham would work. just remember real foods no processed meats or foods. Ham and bacon are both processed meats. My husband and I enjoy a glass of wine with our dinner. Would this be allowed? The drier the better. I am to a wine lover ??? From there, the carbs go up considerably. What can we drink besides water? Vitamin Zero Water is made with Stevia, you can have coffee and tea as well. No sodas, no juices. Unless there has been a VERY recent change in manufacturing of Vitimin Water it uses sucarlose not stevia (they are very different substances). The bottles I have in the cupboard say very clearly that it’s sucralose. Stevia is derived from the stevia plant. Sucralose is a man made chemical (an accident at that). Carbonated water really helps to feel like your drinking something like soda but still just water. Look for selzter water with the ingredients as simply: Carbonated Water. Buy a SodaStream soda maker. You’ll have all the homemade soda water you want, and you can put in any flavor you want….lemon juice, lime juice, etc…. You just have to buy the bottle of Co2 every so often…. Tea and coffee are both acceptable on Keto. For water, I recommend Hint. Go to drinkhint.com and check it out. When you make the Philly cheeese steak casserole, hoe much cream cheese do you use and do you soften it, or just layer it on in slices? No links to full recipes? Very interested in the Philly cheesesteak casserole but having a hard time imagining how to put it together. Check Pinterest or just Google. There are thousands of keto recipes available. What Vegetarian protein options work? Beans are very carb infested. Usually rely on soy based protein and egg whites. Thx. I don’t like eggs or cottage cheese. At all. Blah. Any substitutes or suggestions? I’d like to know the same thing- I don’t have a problem with cottage cheese, but I DO NOT EAT EGGS! no one has replied to your question- Looking at the weekly meal plans, eggs are in every breakfast- please tell me there is something else “we” can eat as a substitute. Wats the subistute for bacon? Come on it’s BACON! There is no substitute for bacon! If you have a pork allergy and cannot eat bacon, you can get turkey bacon and turkey sausage. You can also make hamburger sausage and jerky. I prepare Ketogenic and Ketobetic meals for my clients as well as gluten free. So, such situations are commonplace for me. Where are you located? And what exactly do you do? Would be very interested in becoming a client. Hello, I’m just learning, is gluten free breads allowed ? Or is there any breads accepted made from the almond or rice, etc. flours? Almond or coconut flour are wonderful gluten free/sugar free/low carb substitutions! I’ve baked with them quite a few times and had the consistency I needed from the flour. I don’t drink anything with caffeine, so the “fat” coffee and green tea are out for me. Also, I drink Vitamin Water. Can I continue to drink it, or do I switch to just regular water? Vitamin water is full of sugar. If not listed on the label, read the ingredients. Anything with -ose at the end is a sugar/grain which will derail ketosis. I’m guessing that beer isn’t allowed? Michelob Ultra is my friend ? 2.6 carbs per beer ! No beer, regardless of the carb count. The ingredients will raise your BG (blood glucose), which defeats the purpose. The fist month I followed a diet plan, the second I use the same but not as close as I did and started getting some awful symptoms, I’m not taking as much fat becouse I have gallbladder irritation. At this point don’t know how to handle it to feel great again as when I started. Thankyou very much for your response. Same here! I feel stuck and so confused. I don’t know what to eat and I’m scared to hurt my body more. Also have only lost maybe 3 lbs in the 6-8 weeks I’ve been trying to eat keto. I am allergic to eggs, and they are listed a lot. What can I substitute? I am a vegetarian. How can I do a ketogenic diet? I have been avoiding all carbohydrates for about 2 wks–no processed food, no bread, pasta, potatoes, rice, etc. I lost about 2 lbs almost immediately, then no more weight loss. I eat vegetables, fruit, cheese, half and half. Could I be eating too much fruit? I have just started low carb and exercising 1 hour. I lost 6 pounds on the first week. I’ was 10 st 6 and hope to get down to 9 st. Doing well at the moment but I’m worried about the winter months. I will not be able to maintain the exercise. There are MANY exercises you can do indoors. I’ve even found lots for small spaces, even IN BED! 😀 Body weight exercises are great. Check YouTube for workouts, as well as Pinterest. How many carbs per day do you suggest?? Usually you should be closer to 20 grams. Going higher may knock you out of ketosis…but it really depends on the person. Everyone is different. my doctor told me around 30. This is treatment for metabolic disorder which can help reverse liver and kidney damage caused by uncontrolled diabetes. All of my research says under 50, but it is variable, different for different people. I’ve seen 30 is commonly recommended. Note that even lettuce has carbs so count them all to get best results. made from chick peas, water, salt, tahini, lemon juice, cumin, garlic. In was thinking the same thing… Why suggest hummus when hummus is made from legumes which are high carb , not allowed on a keto or LCHF woe… ? A small amounts legumes are fine on a keto, if it fits your macros. What is it sweetened with? Is it on the avoid list? You can add lemon or fresh berries for flavor. nice too. I haven’t seen anything out there in the Keto diet that says we can’t have a carbonated water so far. I drink La Croix sparkling water. 0 everything comes in lots of flavors and tastes great. I don’t eat butter or any kind of cheese, what can I replace the cheese with please? The mayo used. Does it have to be sugar free? Like dressings and sauces as well? I think mayos are naturally sugar-free. Mine is. Mine is generic, Great Value, from Walmart. Think “mayo”, not “salad dressing”, such as Miracle Whip. It’s very easy to confuse the two, sometimes. If you check labels, you will find sugar in most mayonnaise. Dukes Mayonnaise is sugar free and good but usually available only in the South. If I wasn’t able to get Dukes, I would go the home made route. Dukes Mayo is available on Amazon.. If you have amazon prime then there’s no shipping 🙂 and thanks for the tip, going to buy it now. I love the mayo with avocado oil. Olive Oil not so much. Help! I don’t eat meat and seafood I only eat sparingly! Can I still use this diet? Yes of course. You can substitute tofu, seitan, eggs and protein powders for protein. Keto is high fat, medium protein, low carb. If you’re eating sparingly, and I take that to mean low everything, then no, you can’t do this. I think she’s saying she eats seafood sparingly, not food as a whole. How much cottage cheese can you eat? Also how many of the eggies can you eat? So no paleo bread at all? Could you do a low glycemic (apples and cheese day/eggs and cheese day – either one of these ) with plenty of water to break stall? I’ve been doing the keto diet for two months. I’ve lost 18lbs but am stalled for the last two weeks. Is this menu plan a good way to get out of the stall? Or do you have any suggestions? I’ve also added exercising 3 to 5 times a week. how about adding intermittent fasting? I eat in an 8 hour window from noon to 8pm and then fast during 8pm to noon the following day. It will work to take you out of a stall. If you’re not familiar, there’s a ton of YouTube videos about it. I listen to Dr Eric Berg a lot. He is a supporter of doing the Keto plan along with intermittent fasting. What can I eat in the place of all the pork products, it is for religious reasons. What snacks can we have in between the meals? Can fat coffee be used as a dinner replacement?? Yes! What is fat coffee? Also called buttered coffee. It’s very good. Why the pic of bananas if we can’t have them? Just curious for the choice of picture for the post, but the menu looks awesome! Thanks for the feedback, I’ve replaced the picture. Quick question…why not artificial sugars? Sometimes I drink a Sonic Diet Cherry Limeade. Thanks for all the info.? Artificial sweeteners are terrible for the body in so many ways. Artificial sweeteners cause cancer and your body doesn’t know how to process it. When you get a cherry limeade from Sonic, the cherry flavoring still has sugar in it, also carbonation is bad for your body as well. These recipes on here that were provided all have seem to have a lot of protein once added at the end of the day. When I figure mine I can eat 55g protein and me eating the omelette alone with half a chicken breast for lunch puts me over ? Someone help with this! I don’t wanna eat too much or too little’ how should I know. Hello, very interested in trying this, but I’m allergic to eggs and avocados (which are my favorite) what are some suggestions for replacements? See cornucopia institute – even the best of eggs on their list the farmers feed their grass raised chickens with corn and soy feed. Why they don’t provide homegrown bugs and worms as a few farmers are doing, is beyond my patience. It would be interesting to find out what component in avo’s you are reacting to – is it the actual avocado or chems the farmers may be using or stores are using when washing produce? There is a certain persimmon that I can’t eat, if I want to continue breathing, so I am not denying your reaction to them. Hi Kathy, good fats include things like red meat, butter, coconut oil, cream, eggs, olive oil….lunch at of good info on- line. I love this diet…only one that has ever worked for me. I have been on the Ketone diet for 5 days I lost 7 lb I am 77 years old and think this is too quick of a weight loss, I feel very sluggish and very tired I don’t know if that happens to other people who experienced the same thing. I would appreciate some answers. Is there any kind of a bread or wrap I could eat thank you, God bless. I got keto flu the first week I was even nauseous. I’m in the second week now and feel much better, hang in there. I did the same thing then plateaued. I read it’s water weight that you lost. The pounds won’t come melting off noticeably but you’ll feel your clothes getting bigger. The weight melts off slowly. As for sluggish, make sure you take in vitamins. That’s all I can suggest. I feel great and am noticing the weight coming off my ribs, hips and waist. I haven’t started yet, but I am excited to. I guess I am just confused about measurements. How do I know how much meat I am allowed or vegetable etc etc. Please do not eat straight butter. That is not good for you or for your heart, regardless of what may or may not be allowed on the Keto diet. Eat spoonfulls of healthy oils like olive, peanut, or coconut. Or you could make a nice snack with equal parts Heavy Cream, Coconut Oil, & Cream Cheese. Add a bit of flavoring like lemon zest and blend it up, put it in ice cube trays (silicone) and freeze. They’re like little bon bons. Yumm! I’m not that over weight but I’m the heaviest I’ve ever been in my life. I want to lose weight, not only to look and feel better but because I wannaale sure I can be there for my children as long as possible. I also would like to know if snacking between meals is ok? And I’ve seen many different meal plans /menus, is it alright to switch it up each week? Yes, and yes. You may eat however you like as long as you keep carbohydrates low. In order for ketogenic diet to work, you need to “starve” yourself with carbs, in order to force your body to utilize fats and burn it to be used for energy. Therefore, you need to stop eating veggies with carbs (I think you mean root crops) and eat more healthy fats (i.e. Omega 3 fatty acids) and load on protein. Also, you need a weighing scale to monitor your weight loss progress every week. You have to buy the premium version of my fitness pal to adjust macros. I don’t think there is an actual “KETO” setting, but you can go in and manually change the macro percentages. I went into the MyFitnessPal Home page then to the goal settings and set the macros according to a Keto diet percentages. I didn’t purchase the premium package and it worked for me. Can eat too much fat. If so how do you manage your fat intake? You can’t eat too much fat on this diet. Your body will, how shall I say this? Flush it out naturally. However, you will get pretty incontinent this way, so balance with more fiber. I like chia seeds and flax meal mixed together with a little peanut butter for breakfast. I am allergic to all nut products, seafood, fish and shellfish….what can I replace these with?? Take Omega 3 & Omega 6 supplements, just make sure they come from non-nut & non-fish sources. Then just get your protein from adding more of the meats you can have, grass-fed beef, for example. You need to gain weight not lose. this would be kgs not lbs. this equates to approximately 190 lb. just follow the meal plan and join a facebook group they are great help. I started Keto 2 days ago. I have figured my Keto Macros to 1102 cal – 86g fat – cho 20 g net. and Prot 63 g ……….. My problem is “how do I count my keto good foods values? I ate a good bacon, 2egg to equal my Macro #s? I ate a good 2 egg, 2 sl. bacon, mushroom and spinach breakfast …327 C, 29 g fat, 18 pro. and 1 carb. and I don’t know how to choose food for dinner and supper??? Maybe I should mention I am an active 84 yr. old female with a weight of 140 lbs. Hi! My name is Christina and I’m really trying to figure out the “Keto lingo” I’m wondering is someone can help me figure out my macros (I’m lost) and just help me overall get on board! Hi Martha! You may want to try something more akin to a Paleolithic diet. It features a restriction on dairy, fatty means and vegetable oils. I’ve also heard of people combining the two diets to fit their needs. What types of exercise routines do you suggest with this 2 week plan? Also can someone go over the numbers game with this ? ie., macros. I still don’t get it. You can stick with the same exercise routines you already do. If you do any weightlifting, you may notice a slight decrease in strength because you will no longer be consuming carbohydrates. As far as macros go, I believe the general rule of thumb is roughly 75% of calories from fat, 20% from protein, and no more than 5% from carbs. Personally, my macros are at 65/30/5 and I am still able to achieve ketosis, so it may be worth tweaking some until you find a balance that works for you. As an example, if you were to consume 2000 calories in a day, the breakdown would look like this: 1500 cal or 167g (70%) would be from fat, 400 cal or 100g (20%) would be from protein, and 100 cal or 25g (5%) would be from carbs. Of course, not everyone is going to eat 2000 calories in a day, so I would recommend Googling “TDEE Calculator” to determine how many calories to eat and adjust from there. I would like to lose some fat but not weight. As my weight is ideal but i have some fat around my middle. And when i do lose weight my skin starts to sag. I also want to better my health. My question is ; how do i go about the keto diet but not lose weight. Is it possible? Absolutely. 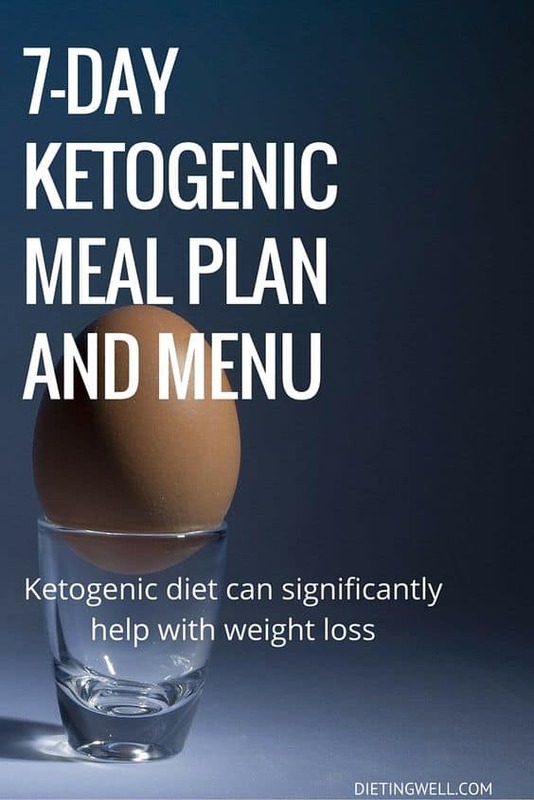 You would simply need to follow the keto diet, but instead of restricting calories, eat your normal maintenance amount. What is considered normal when it comes to total daily calories? I’ve been doing Keto since the beginning of the year and I’ve seen results, but I’m thinking my calories are too high. Correct. If you want to follow a keto diet, you need to keep net carbs (carbs less fiber) under about 5% of your daily caloric intake. You’ll want to cut out grains, sugar, and starchy carbs (the rule of thumb is to avoid any vegetables that grow underground). You don’t necessarily need to follow this exact meal plan. I’ve been on the keto diet now for a month in a half I lost so far 15 pounds and I’ve been eatting root veggies except for potatoes I don’t think there is nothing wrong with eatting carrots and under ground veggies. I was on the keto diet for 2 in a half months and lost 25 pounds with hardly no exercise besides working around my house .I ate any under ground vegetables besides potatoes. There is nothing wrong with eating under ground vegetables but it is best recommended not to but either way its whats best for you. I’m a little confused about avoiding foods with cargeenan. Just processed foods that contain it or all foods including cheeses? Can you use wasa thins on this diet? Help… I’ve been in Ketosis for 2 months and have not lost weight. The evaluations I’ve taken reveal that I need to consume 1362 calories for a 20% deficit against my BMR and activity level. That then translates to 102 grams Fat, 96 grams protein and net Carb 20. How in the world can I eat that much fat within the calorie limit? What can be used in lieu of sea food (because of allergies) and dark green vegetables like spinach (because of kidney stones)? Boneless skinless chicken breast and lettuce a good alternative? I really love my coffee and I currently use unsweetened Almond milk (vanilla flavored) with one truvia packet. Can I still do with on the ketogeneic diet? I love my coffee and currently use unsweetened vanilla almond milk and one truvia packet. Can I still drink my coffee like this and if so how many carbs would it be? Just read the labels on your almond milk and stevia for how many carbs are in the amount you use. hey you mention splenda s,splenda is a 0 calorie? My understanding of the ketogenic plan says you can’t eat garbanzo beans/chick peas. How is it that you include hummus? I don’t believe this is allowed. Maybe on the LCHF diet? But not on the keto plan. They are not the same. I am looking for someone to help guide me on keto. Onward. Garbanzo beans are high in Fiber. Fiber offsets the carbs. Find the Net Carbs of the serving of beans then see if that number fits into you daily Carb plan. I believe you subtract the fiber grams from the total carb grams = net carbs. Best wishes. What is the substitute for beef .? I used to seriously over sauté mushroom slices with salt pepper and a little savory herb. The result was a tasty “meaty chew” which satisfied my meat cravings. I’m on day 7 of my first week and have lost six pounds, which at 57 I was beginning to believe was impossible!. I think it’s worth a shot to see if it works for you. So artificial sweeteners are ok sometimes or…? Stevia isn’t artificial. It is actually a plant. I was wondering about the eggs…. I am allergic to egg yolk so eat egg white. Is consuming the yolk important to this diet? You dont _need_ to eat the yolk, but that is where the fat and vitamins are. Replace the yolk with Avocado by volume to get the fat, vitamins and minerals you missed with the yolk. This plan is very high on protein. I’ve learned that high healthy fat is what’s needed, not high protein.. as I am now kicked out of ketosis due to high protein intake (insulin’s fault). Given the fact i didn’t eat a bowl of salad per day (my tummy doesn’t digest salad well at all – i get bloated), but i do eat broccoli (i don’t get bloated from those strangely enough), cauliflower, asparagus, mushrooms… tomatoes (rarely, though). So, my question is… are you in ketosis following the menu you’ve presented? I’m 5 months into Keto and the last 3 weeks i am not in ketosis. My carb intake is 20-30g… but my protein is pretty high.